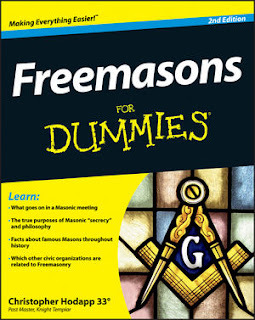 Pennsylvania's Shiloh Lodge No. 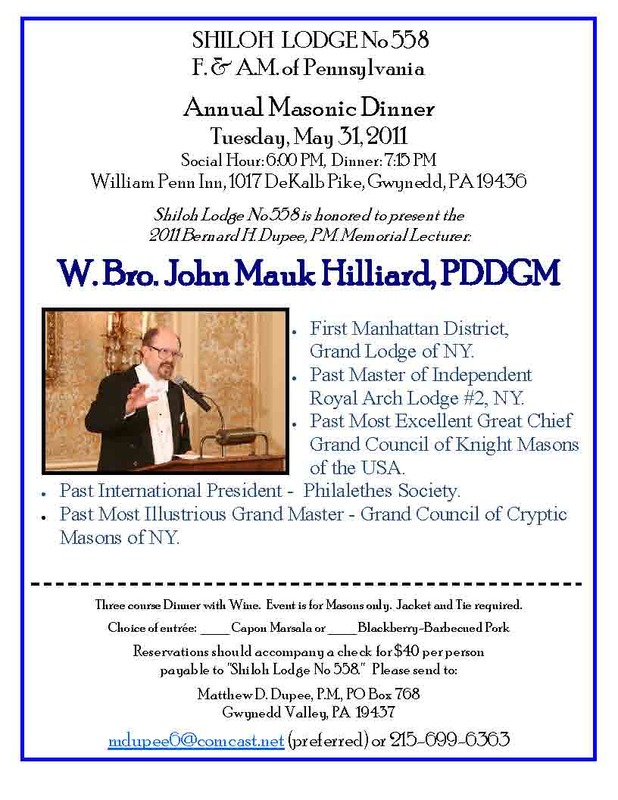 558's annual dinner on May 31st will feature John Mauk Hilliard, PM, as the 2011 Bernard H. Dupee PM Memorial Speaker. The dinner will be held at the William Penn Inn in Gwynedd, PA.
W:.B:. 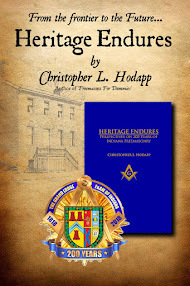 Hilliard is a Past Master of Independent Royal Arch Lodge #2, in New York; a Past Most Excellent Great Chief, Grand Council of Knight Masons; a Past Most Illustrious Grand Master, Grand Council of Cryptic Masons of New York; and Past President of the Philalethes Society.